Mulled wine is perfect for cold weather, and with the winter chill here, it's time to find some creative ways to warm up. 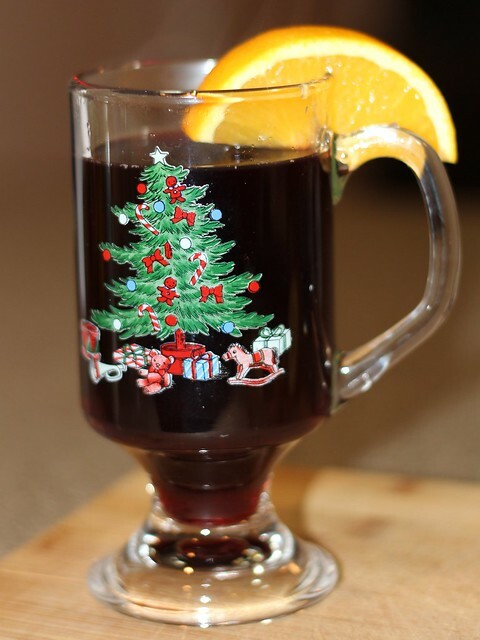 Mulled wine is simply warmed wine with fruit and spices. 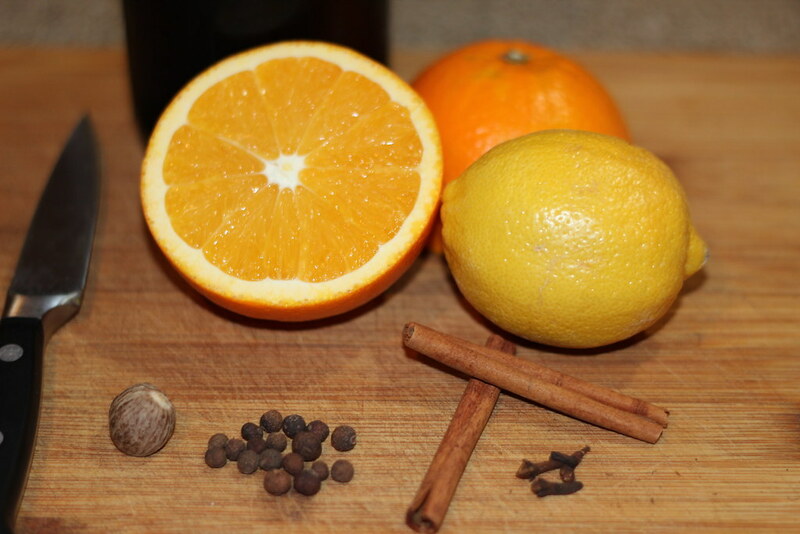 Typically, the spices include cinnamon, cloves, allspice and nutmeg, along with fruits like oranges and lemons. Usually sugar is also added, but that should be done with moderation. Try it with less sugar, and add more if you prefer it sweeter. Be creative with your ingredients, try just red wine, or red and white wine, or port, or add brandy. This is a perfect way to use that partially finished bottle of wine from yesterday's lunch or dinner; just adjust the ingredients to the volume of wine. Also experiment with fruits and spices, and use what you enjoy and have available. One of the things I remember about spending winter days in the east of France was the mulled wine, which is called vin chaud. It gets cold in Alsace and Lorraine and vin chaud is a staple of many winter gatherings, especially Christmas markets. When my cousins were playing winter sports, the concession stand would always serve vin chaud. Sometimes, just holding the cup of steaming vin chaud in your hands is enough to chase the winter chills away. 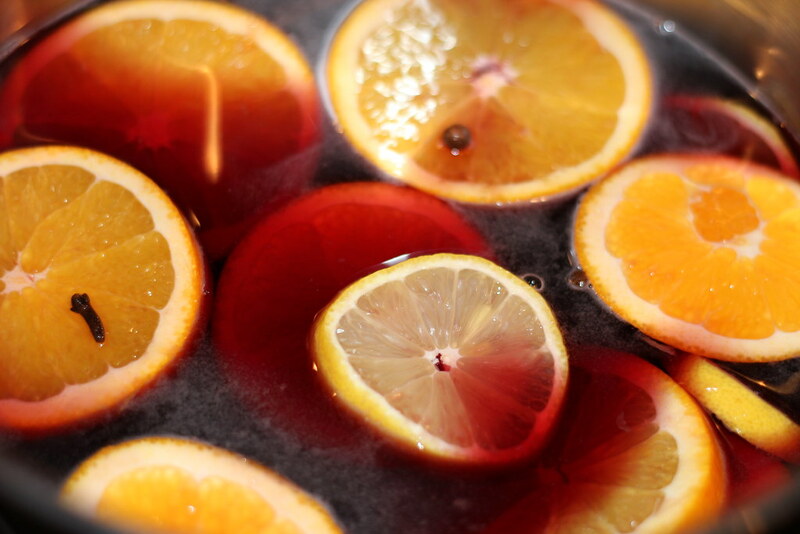 One of the great things about mulled wine is the wonderful smell. Your home will quickly fill with that great seasonal smell of cloves and cinnamon. If you are entertaining several people consider serving the mulled wine in a crock-pot. Sit out some mugs, sliced oranges and several cinnamon sticks and your guests will have a wonderful time. Try to use non-treated orange and lemon if you can find them as you will be using the whole fruit, zest and rind included. Put all the ingredients in a large non-reactive pot on the stove. Bring to a boil. Reduce heat and let simmer for 5 minutes. Mulled wine shouldn't just be enjoyed during the holiday season. Whenever there is a chill in the air, and you are wondering what you should do with that remaining wine, consider making Mulled wine.